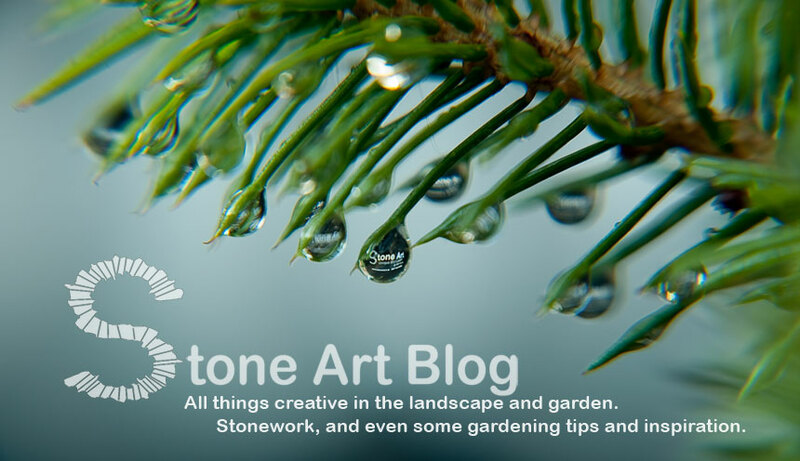 So this post is a first for Stone Art's Blog: throughout the past two years or so that I have been writing this blog I have highlighted many artisans and stonemasons. 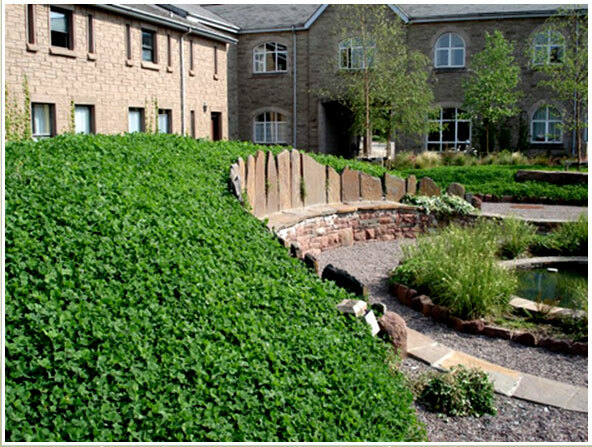 However this post is the first time I have highlighted a landscape designer. And who better to begin with than one of my favourite Irish designers, award winning landscape designer Mary Reynolds. 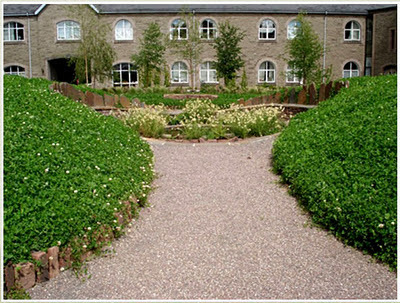 Mary Reynolds, the first Irish winner of a Chelsea Flower Show Gold Medal for garden design, started her landscape design company in 1997, where she began her professional career designing gardens in and around Dublin city. However over time she began to feel that city life was suppressing her creativity so she moved out of the city to the “wild west “of the Wicklow Mountains. As soon as she got back into the wilderness, not only did she feel inspired for the first time, but she aslo knew where it was that she wanted to bring her skills. 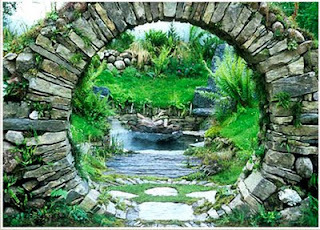 Mary felt the gardens she had been designing in the city were lacking, because they did not have that depth of soul that exists everywhere in wild places. 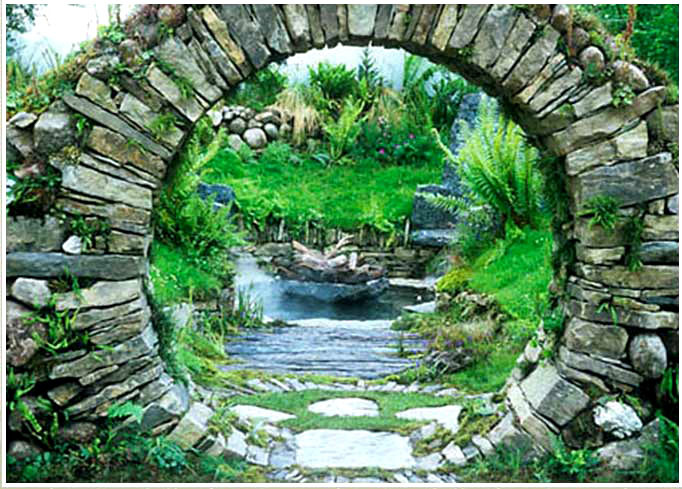 Being once again surrounded by wilderness, Mary realized that this beautiful natural wilderness that is of such great inspiration to her as well as others was disappearing fast because people had become disconnected from it and had forgotten the importance of that connection, so she took it upon herself to create gardens that would bring this connection back into peoples lives. In 2002 at just 28 years of age, Mary entered the RHS Chelsea Flower Show with her garden ‘Tearmann sí – A Celtic Sanctuary’. 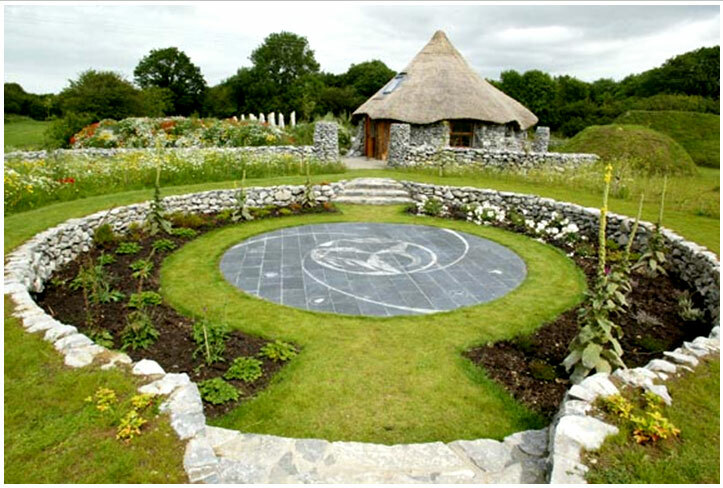 Inspired by the Wicklow countryside and her love for Irish mythology, Mary’s garden consisted of a circular stone moon gate lead over a stone path to the inner circle, where the elements of earth, air, fire and water combine. Surrounding the central circle was a grass mound carpeted with bluebell, inspired by Tara Hill in County Meath. Hawthorn and elder, two trees that feature in Celtic lore, formed a protective circle around the very edge of the garden. Enclosing the garden was a traditional dry stone wall, planted with native Irish plants, such as yarrow, thrift, hart's tongue, maidenhair and spleenwort. As a result of her Chelsea victory in 2002, the British Government commissioned Mary to design a garden for the world-famous Botanical Gardens at Kew in London. The garden is based on the imagery and atmosphere of the poem "The Stolen Child" by Irish poet W.B. Yeats. 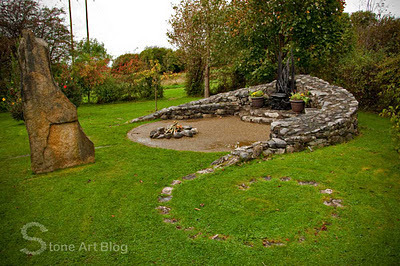 Mary was also commissioned to design Brigit’s Gardens in Galway. 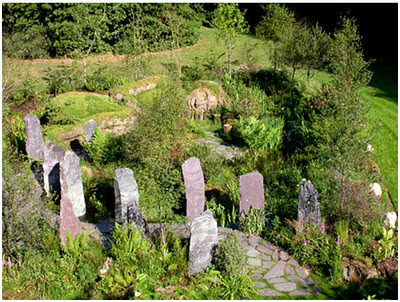 Brigit’s gardens consists of four interlinked gardens, based on the Celtic festivals of Samhain, Imbolc, Bealtaine and Lughnasa that provide beautiful and tranquil reflective places and are a celebration of nature and the cycle of life. 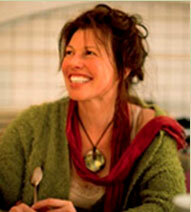 She had started on the project before her Chelsea win and completed the design later in 2002. I visited these wonderful gardens a few months ago, but there is so much going on at these gardens I am going to write a separate post about them at a later stage, so that I can write about this magical place in more detail now. 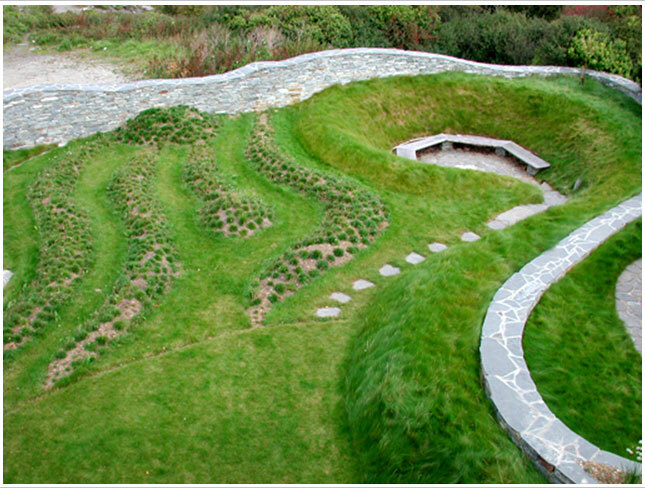 Some Mary’s favourite materials and structures to incorporate in her designs include stone, sculpted earth shapes, mosaic, living willow structures and cob structures. 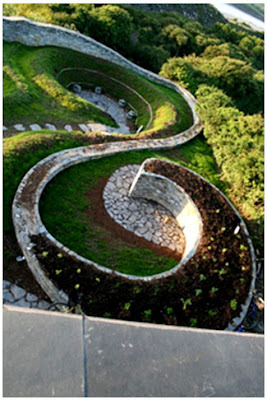 She also likes to incorporate native planting and Irish mythology. It is all these qualities that make her one of my favourite Irish designers. I also love that she often includes stone seats. As well as being one of my favourite things to build from stone I have also written about stone seats and their importance in Irish folklore on a number of occasions. 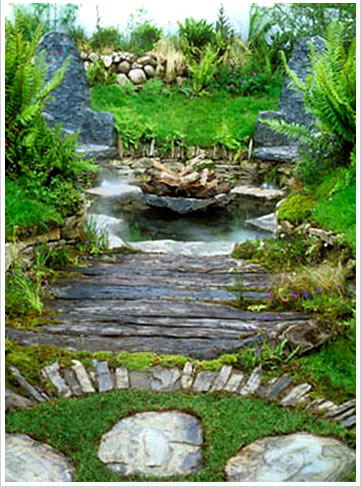 Here are a few other gardens by Mary that I find inspiering. I'm impressed by these, though a little uncertain about the scale. I'm trying to decide whether what I would make of the giant head in real life! What a fantastic blog post! Thank you so much for sharing these inspiring examples ...Bravo. Your posts are always so magnificent! Everything you share is beautiful and I wish I could visit these in person..i would be in pure bliss! Gorgeous photographs..magical! Such an amazing body of work for someone so young. 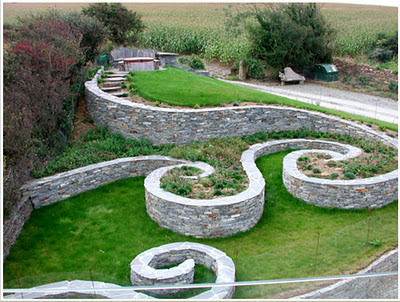 Her designs are truly magical and the completed stonework is absolutely amazing. I have enjoyed visiting her blog, too, and marveling at her work, truly inspirational! Hypnotising! What a talent! Thank you for post!!! Impressively talented indeed! Her works are awesome. Wish I could create something like that for patios. The art of Mary Reynolds leaves me breathless. Her interpretation of 'The Stolen Child' is both thought provoking and inspiring. With a faery, hand in hand. 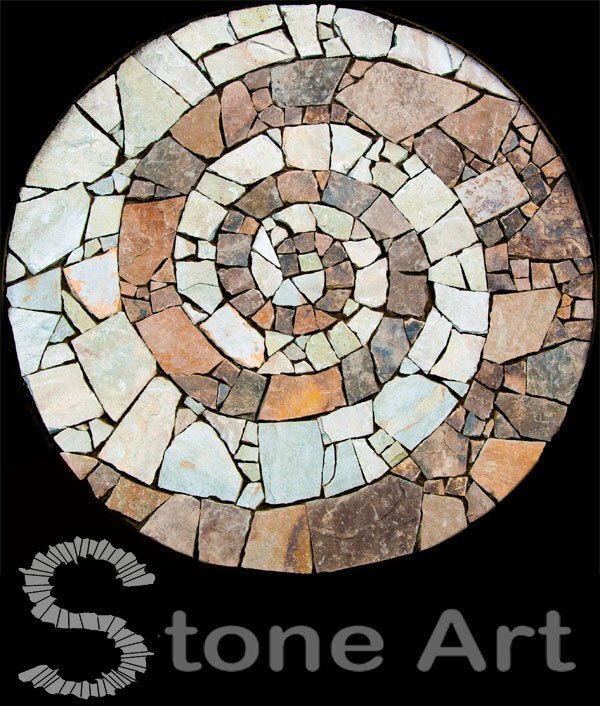 . ."
Stone Art has quickly become a favorite read. Thank you for sharing Mary's talent with me. 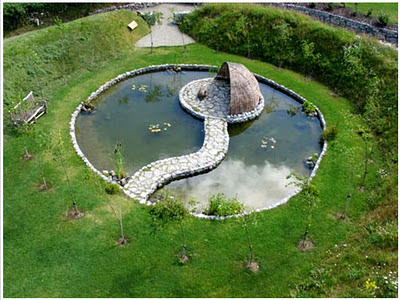 Amazing garden, magnificent works of stone. Aesthetic and professionally designed stone work, thanks for posting. All of these pictures are absolutly amazing, I wonder if you could do something like that with synthetic grass? Thanks so much for sharing. fantastic post and amazing photos. Keep up the great work. I don't know about you guys but I like these!It requires a lot of talent and hard work to come up with that beautiful masterpiece! well done. really you have shared very interesting points in this blog. I am glad to say that the above posts are really fantastic. Good job. Keep up. Thank you so much. 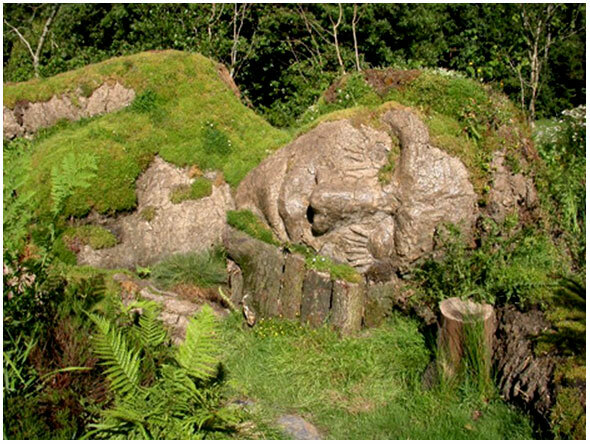 Particularly, that was an astonishing picture of a sleeping man or woman statue. Wonder if that is made from stone or hardened mud or cement. Wonderful! 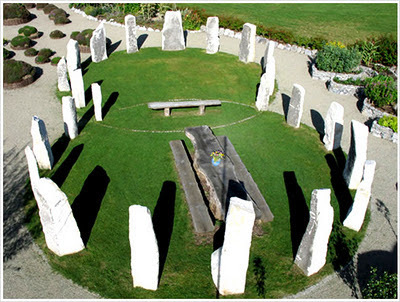 These stones come alive!